Ambien, also known as zolpidem, is a sedative used to treat insomnia. When someone who has been abusing Ambien begins to taper off of it or stop using it altogether, they may experience cravings to continue using the drug. The onset of craving for any substance begins with the removal of or inability to acquire the substance. You are more likely to crave Ambien if you’ve been taking it for longer than recommended and/or taking more than prescribed. In the case of Ambien, which is used as a sleep aid, the psychological factor is strong. You may believe that you will be unable to sleep without it. How Long Will I Have Urges? Types of support you are receiving and using. Ambien was long thought to be a safe, non-habit-forming medication. Continued research and case studies have indicated that this is not necessarily true. If you discontinue using Ambien after developing a physical dependence, you are likely to have cravings because your brain chemistry has been altered and will need time to return to a healthy state. Managing your cravings should be part of an overall plan to quit and stay clean from Ambien. While dealing with your cravings is an important part of recovery, you will need to take other steps to prevent a relapse, such as stress management, learning new sleep habits and possibly enrolling in a drug rehabilitation program. Getting honest about your drug dependency is often the first step toward relieving feelings of guilt and shame that may perpetuate use. Once you’ve admitted that your use of Ambien has become uncontrollable, you will have an opportunity to get well. The first person who should be alerted to your Ambien abuse is your prescribing physician. He or she can most likely help you manage your sleep issues while supervising a medical detox (taper). Go to bed and wake up at the same time every day as much as possible. Take your television OUT of the bedroom. Don’t do office work in bed. If you do consume caffeine, do so early in the day so as not to disrupt sleep. Refrain from eating heavy meals close to bedtime. Keep a sleep diary so you can identify when you are having difficulty, when you are feeling cravings, etc. 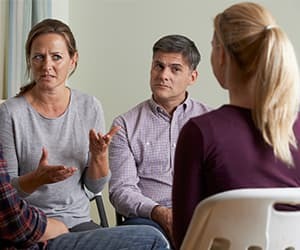 Using a mutual support group like Narcotics Anonymous, Pills Anonymous or SMART Recovery is a way to begin making connections with others who are working through similar recovery issues and can understand your situation. You may develop a network of people you can call when you feel the need for support. Inpatient or residential rehab treatment offers detox and other recovery services. Residential treatment provides a supportive environment and should include individual and group therapy. While treatment offerings will vary from center to center, you’ll be encouraged to participate in a number of healthy activities as well as attend 12-step meetings or other support groups. Partial hospitalization and day treatment programs may be offered in hospitals or free-standing clinics. These programs offer access to select hospital services while undergoing treatment for several hours per day for the duration of the program. People who are best-suited to these programs usually have a stable home environment and can abstain from drug use. Outpatient and intensive outpatient programs offer on-site treatment that includes many of the same services as inpatient. Outpatient recovery programs are often used for people who are transitioning from a residential or inpatient program. But some people use outpatient rehab as their primary treatment. The time commitment will vary. Clinical evaluation by a psychologist, physician or other addiction treatment professional can help you select the appropriate type of formal treatment program. This assessment will also ultimately inform your treatment professional about which course of action and which modalities are best for you. It will also help when counselors begin to design your treatment plan. Reading, exercise, cooking or music can get your mind off the cravings. A great way to curb your Ambien cravings without medication is to focus on something else. Healthy activities such as reading, exercise, cooking, meditation and listening to music can get your mind off the cravings and help you find a way to spend your time without the use of drugs. Think back to activities you enjoyed before you began using Ambien. Write them down, and then find ways to incorporate them into your daily life. Meditation and mindfulness techniques can teach you how to observe your cravings without acting on them. Mindfulness techniques. Many cities have mindfulness training programs. One company, Inward Bound Mindfulness Education (iBme), offers retreats for people of all ages and backgrounds. 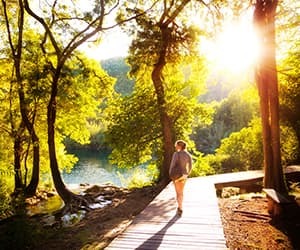 Stress reduction techniques. Mindfulness Based Stress Reduction (MBSR) combines meditation with yoga and body awareness. You can find MBSR trainings online or as an 8-week program. Urge surfing. Urge surfing focuses on acknowledging the urge to use and not fighting it – which usually makes the craving worse. You simply allow the urge to pass. A therapist or a treatment program can teach you how to practice this technique. Several videos and websites also teach urge surfing. Yoga is another way to manage your cravings in a healthy way. Many treatment programs offer yoga. But you can also find classes in your community. Y12SR is a type of yoga that includes a 12-step recovery meeting. Yoga studios around the country now offer Y12SR. Who Answers? to speak to a treatment specialist about programs in your area that can help you detox from Ambien and stay sober. As stated earlier, when you quit using a drug on which you’ve grown dependent, cravings are likely to occur. The National Library of Medicine lists the following withdrawal symptoms for people who suddenly stop taking Ambien (zolpidem), especially if you’ve been taking it for longer than 2 weeks. Unpleasant feelings or mood changes. Uncontrollable shaking of a part of your body. If you have been taking Ambien for longer than 2 weeks, you will want to work with your doctor to develop a safe process for tapering off this medication. This will involve gradually decreasing your dose in increments and at set times determined to be medically safe. Do not attempt to do this on your own. Relapse begins prior to a person picking up drugs after a period of abstinence. A relapse can begin with feelings of isolation, irritability or sadness. Besides feeling cravings, you may not be sleeping well or neglecting your recovery plan. You may also downplay the problems your Ambien addiction caused. Sober living. Sober living situations – sometimes known as a halfway houses – involve living with other people in recovery. It can give you a place to adjust to living drug – free and give you space to find your own housing and look for a job. Individual or group therapy. Meeting regularly with a therapist can help you continue to learn and practice coping skills and understand the causes of your addiction. Outpatient program. Many people who attend inpatient drug recovery programs use outpatient as a “step down” form of treatment after they leave. However, it can also serve as the primary means of addiction treatment for those unwilling or unable to commit to a residential program. 12-step programs. Narcotics Anonymous (NA) is a 12-step program that helps people with drug addiction. You can find NA meetings all over the world and online. NA has multiple meeting formats, which hopefully make it easy to discover a group that suits your needs and fits your personality. Look on the NA website for lists of meetings. If you attend an inpatient program, make sure you work with your therapeutic team to set up an effective aftercare plan tailored to your post-discharge needs. Aftercare is any form of care you receive after you finish a formal treatment program. It’s one of the most important things you can do to prevent relapse. Terence T. Gorski and Merlene Miller published “The Phases and Warning Signs of Relapse” in 1984. This publication is an excellent resource that describes in great detail the things to look out for to nip relapse in the bud. While this publication is directed at people recovering from alcohol dependence, it is certainly relevant in all instances of substance abuse. Believing you can use again without becoming addicted. Reconnecting with old friends from your addiction days. Becoming defensive and beginning the pattern of denial you had while using. Changes in attitude or behavior. Breaking down of social relationships. Loss of belief in an addiction recovery program. If you are worried about you or your loved one’s use of Ambien, call 1-888-319-2606 Who Answers? to speak to a trained treatment support representative about rehab centers near you.